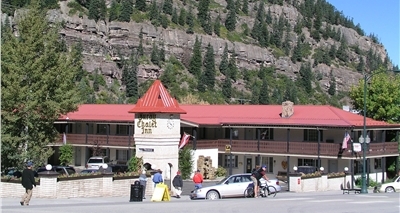 The Ouray Chalet Inn is family-owned and centrally located within walking distance to dining, shopping, and entertainment. Amenities include spacious, comfortable rooms, outside hot tub, free Wi-Fi, in-room refrigerator and microwave, satellite TV, and friendly hospitality. This 1 king bed nonsmoking room will hold up to 2 people with no rollaway bed. This room includes air conditioning, coffeemaker, cable and color remote control TV, free movies, refrigerator, hairdryer, wireless internet access, and dataport. This 1 queen bed nonsmoking room will hold up to 2 people with no rollaway bed. This room includes air conditioning, coffeemaker, cable and color remote control TV, free movies, refrigerator, hairdryer, wireless internet access, and dataport. 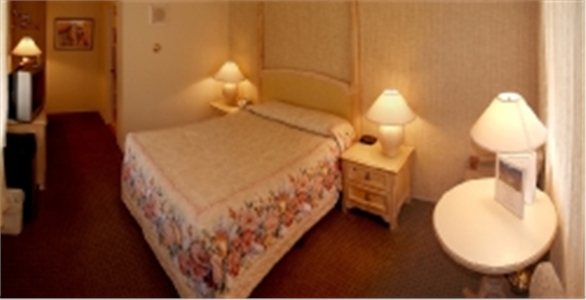 This comfortable Economy Room is perfect for the weary traveler. This room features one queen size bed, a stand up shower, air conditioner, coffee maker, refrigerator, hairdryer, wireless internet access and dataport. This room does not have a view and is not available on the first floor. This 2 queen beds nonsmoking room will hold up to 4 people with no rollaway bed. This room includes air conditioning, coffeemaker, cable and color remote control TV, free movies, refrigerator, hairdryer, wireless internet access, and dataport. Located in Ouray, CO, in the beautiful Southwest Colorado mountains off the renowned Million Dollar Highway (Hwy. 550) - about 98 miles south of Grand Junction, 36 miles south of the Montrose Airport, and 70 miles north of Durango (past Silverton, CO). Cancellation	| To avoid penalties, the motel must be contacted by 4:00pm the day PRIOR to arrival. Holidays and Special Events may have other restrictions. Other	| Cancellation - To avoid penalties, the motel must be contacted by 4:00pm the day PRIOR to arrival. Holidays and Special Events may have other restrictions. Children	| Children 12 and younger stay free.